Top 10 activities to enjoy Barcelona with kids! If you are planning on coming to Barcelona with the whole family, little ones included, don’t worry, because there are many activities for little kids to have the best time in Barcelona. In this post, we will tell you the top 10 activities to enjoy a holiday with kids in the beautiful city of Barcelona. 1. Meet new animals at the Zoo. Your kids will sure enjoy going there to see their favourite animals and even play with some of them (ducks, goats, peacocks…). If you plan to visit Barcelona with children, a visit the zoo is completely mandatory. 2. Shop and play at the Maremagnum. This is a great option if you travel in family, because it satisfies the needs of both parents and children. You can go shopping at the shopping mall , there are also some toy shops where your children will also have a great time, eat something, go for a walk, or let your kids play in the area next to the mall, with ups and downs that will let their imagination fly (and you to relax a little bit). More info. 3. Free culture and science at Caixa Forum. In this free entrance interactive museum you will always find interesting activities for children related to science and culture, which are shown to the kids in a way they have never seen before, funnier than ever! It is close to Plaza España, in Montjuic mountain. 4. Enjoy a play at “El petit Liceu“. The Gran Teatre del Liceu has special plays oriented to children, what they call El Petit Liceu. Funny and colourful plays that makes them connect with theatre and opera (a genre usually not very appreciated by kids) from a young age, in a way that they can understand and enjoy. More info. 5. Sail with the Golondrinas. Just next to the Maremagnum, you can find the shore (Port Vell) where you can take a harbour tour. Aboard of these small ships you will go along Barcelona’s beaches and enjoy the city from a completely different perspective, it really worth both for parents and children. 6. Meet the underwater world at the Aquarium. It is also in the Port area. Here you will see over 10,000 fishes, small and big ones, and even sharks! They also have some activities especially made for children so that they can learn and have fun at the same time. More info. 7. Have fun at Tibidabo Park. 8. Have a great adventure in the Urban Jungle. Your children will absolutely love going there! It’s an adventure playground in where your kids (and also you) will have great adventures while they swing with ropes, do bungee jumping, or enjoy one of the over 50 attractions that Barcelona Urban Jungle got. There are different levels for the whole family! 9. Spend the day in the Park Güell. This park is a great choice for family trips, since it has decorating elements that both parents and children will like, and the little ones can run and play wherever they want while daddy and mommy have a break over the city enjoying its gorgeous sights. 10. Discover the Montjuic Castle. Let your children feel like explorers in this castle right above the city, have lunch in the picnic area or let them have fun in the playground. Besides, there’s a museum of Comics and Illustration that will also make your kids day. Once you are take the opportunity to visit the other Montjuic mountain. This was only the top 10, but i’m sure you have a lot more ideas! Going to the beach, watching the magic fountain show at night in Plaza Espanya, having a Picnic at Parc de la Ciutadela… What about you? Where would you go to enjoy a day in barcelona with the kids? Do not hesitate to leave a comment! 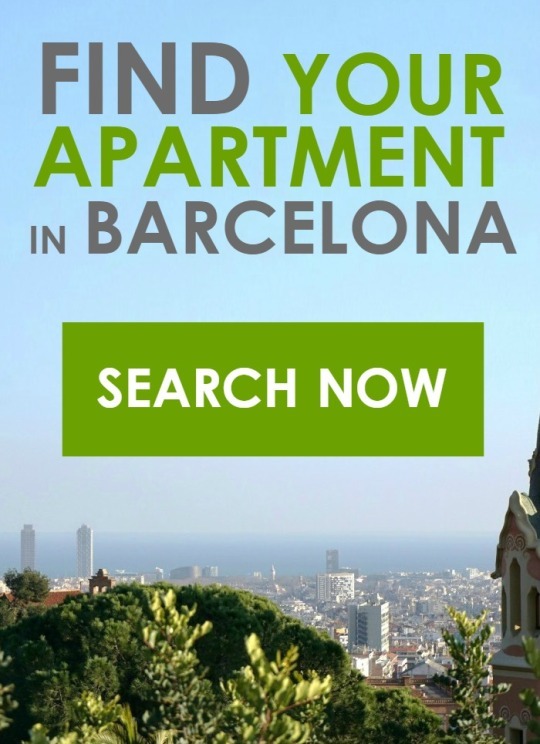 This entry was posted in City guide, Practical tips, TOP 10 's, What to do, With kids and tagged Aparteasy, Barcelona, with kids on August 20, 2014 by ApartEasy.